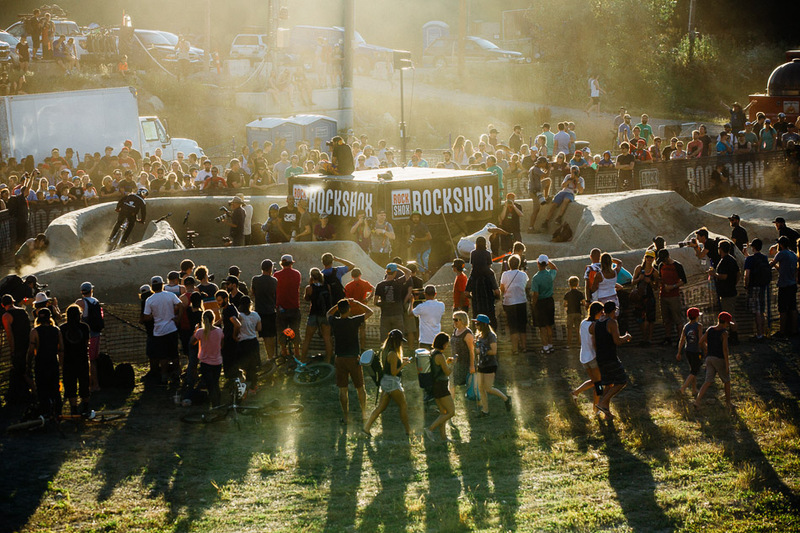 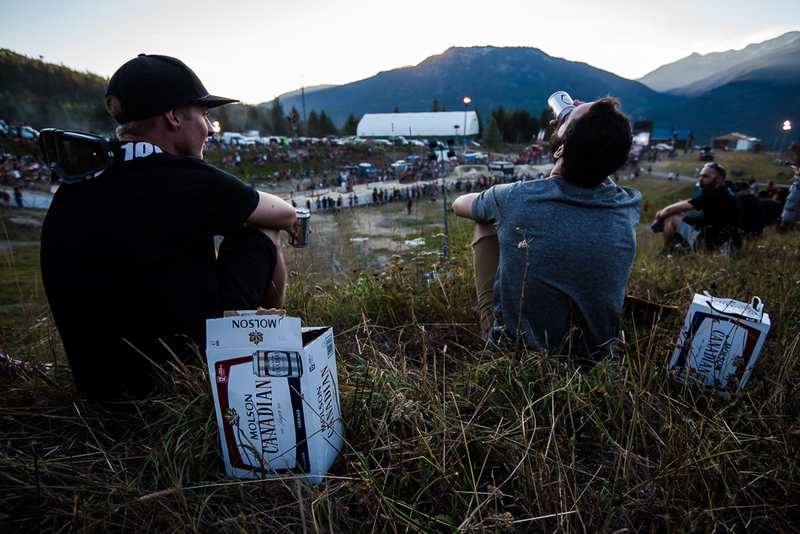 This year’s Crankworx Whistler Pump Track Challenge was full of surprises, starting with a brand-new course in a new location at Base II of Blackcomb Mountain. 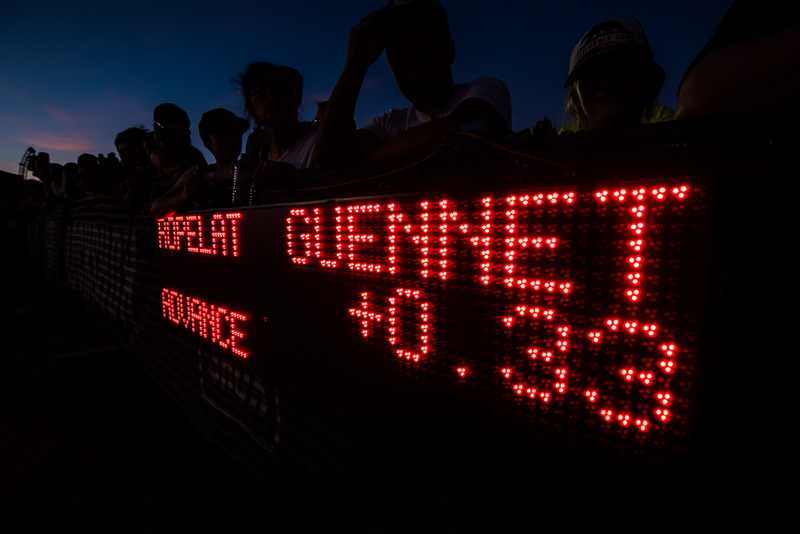 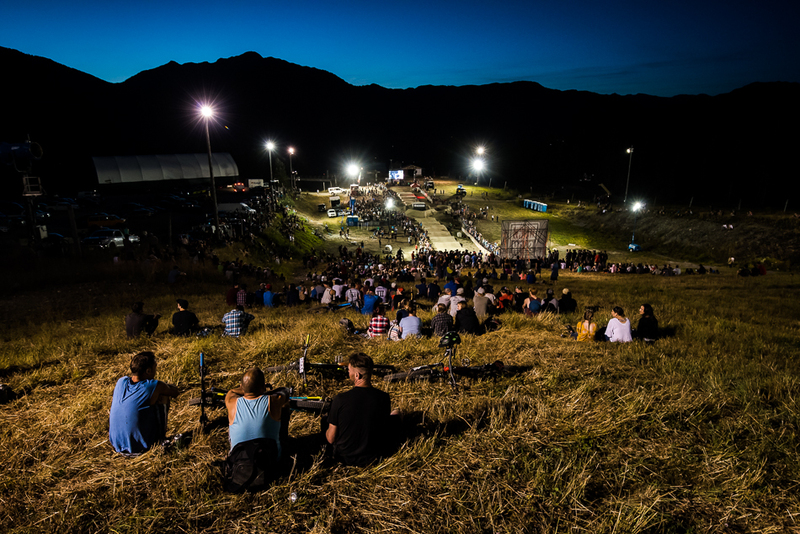 Despite a walk and a gondola ride to the new venue, several hundred spectators made the jaunt for an action-packed evening on the straight, point-to-point rhythm track. 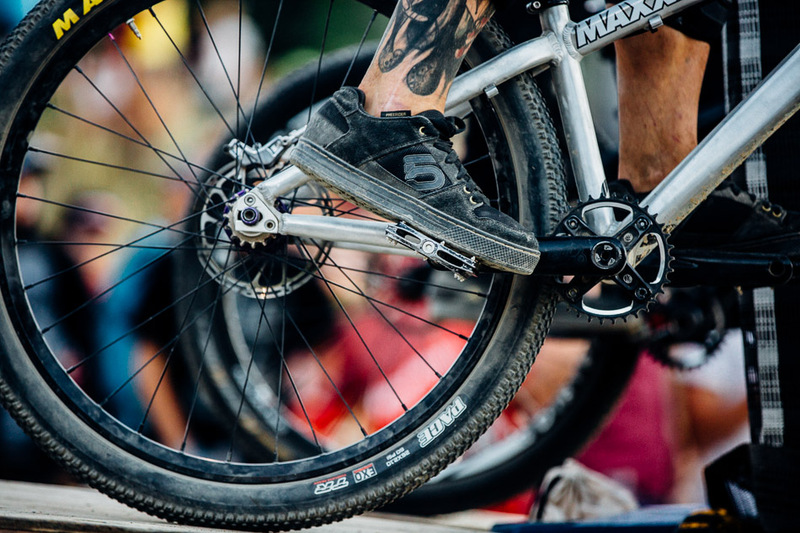 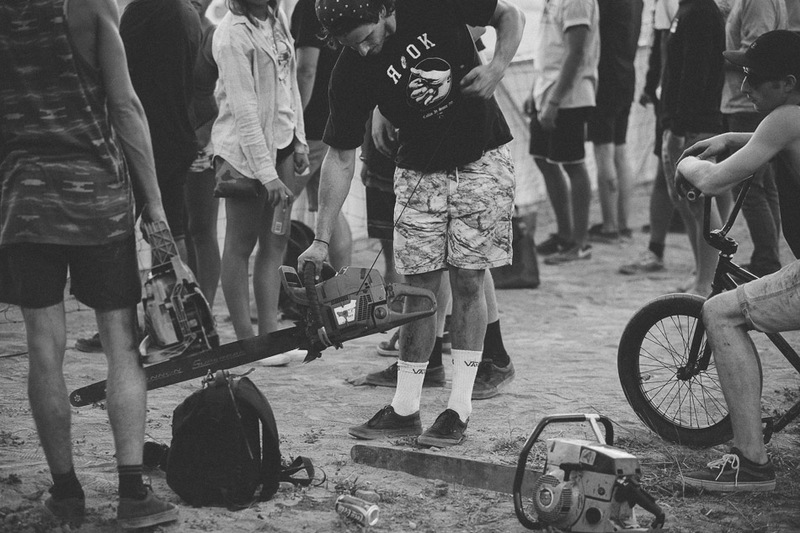 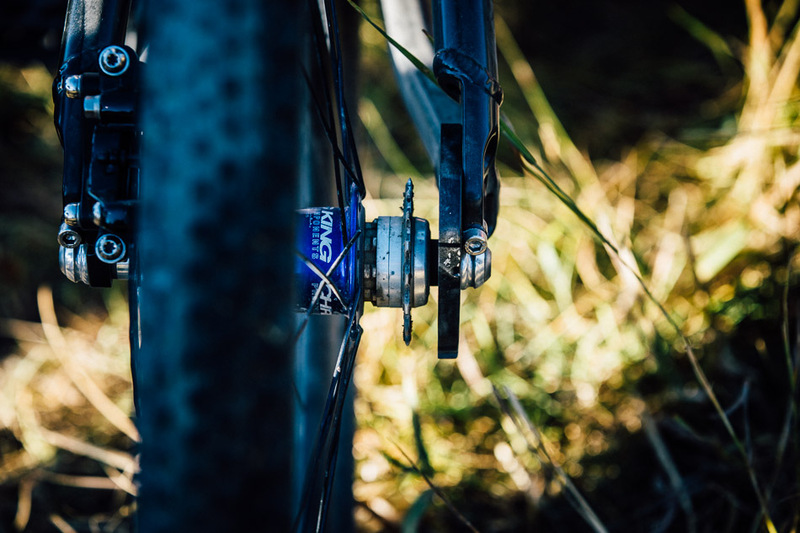 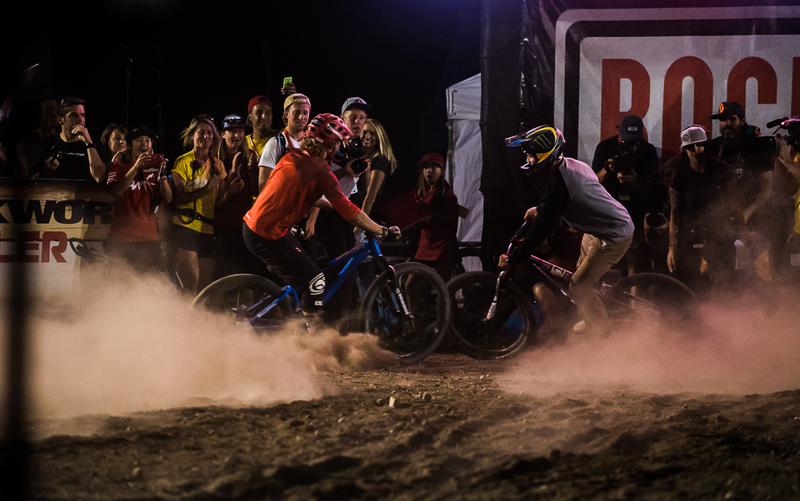 Adding to the excitement—and the technical challenge for riders—all competitors were required to race without a chain, forcing riders to truly pump through the track without relying on pedaling. 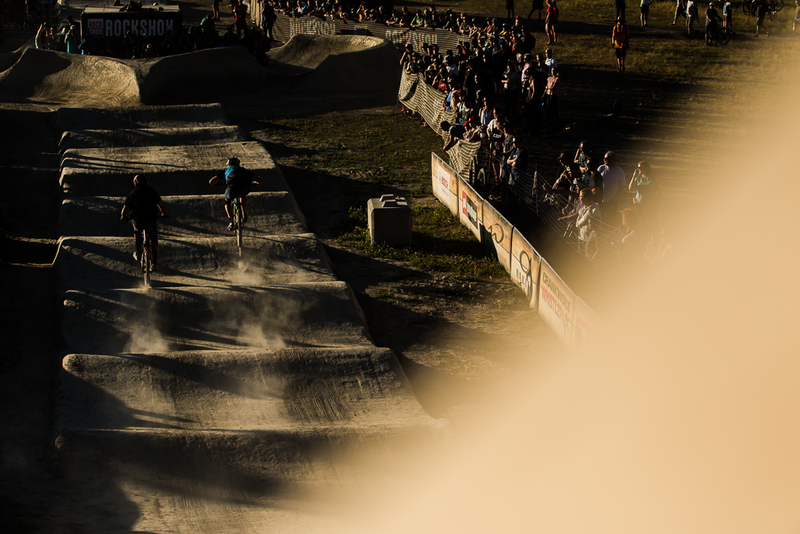 This purist rule proved to be a true test of racers’ ability to use the terrain to maintain their momentum. 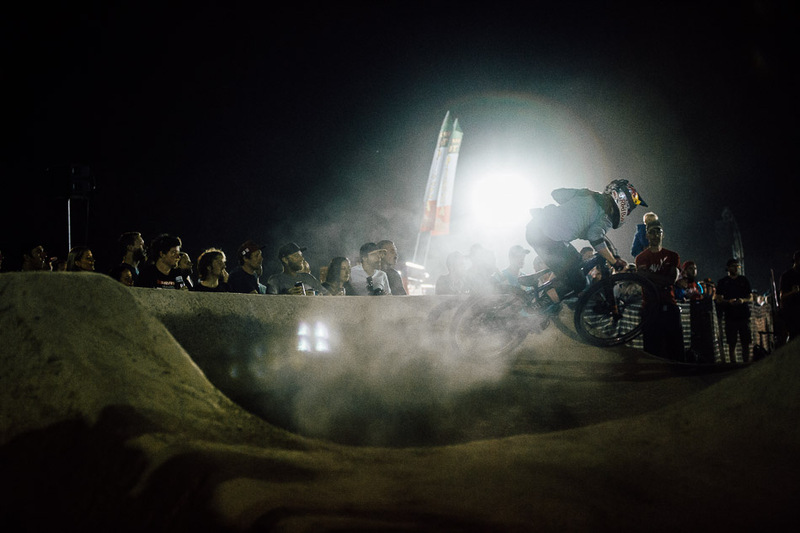 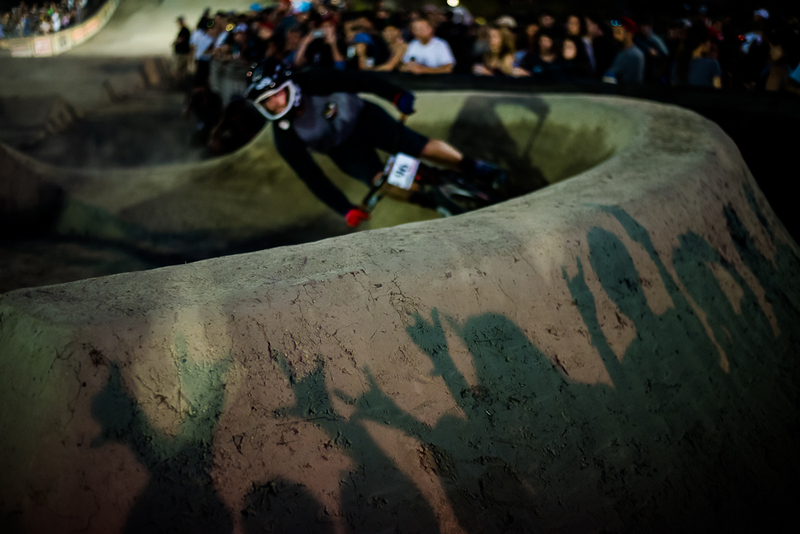 Pump track master Mitch Ropelato seized the opportunity to re-assert his primacy in the pump track event, narrowly edging out Adrien Loron in a final heat that was so close the two competitors collided with each other in the finish corral. 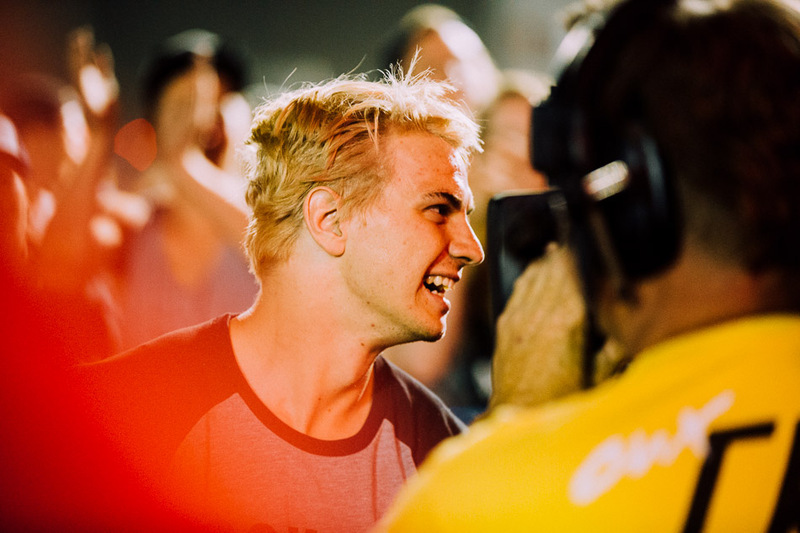 Ropelato’s victory represents a comeback for the young American, who won the Crankworx Whistler Pump Track Challenge in 2011, 2012 and 2013. 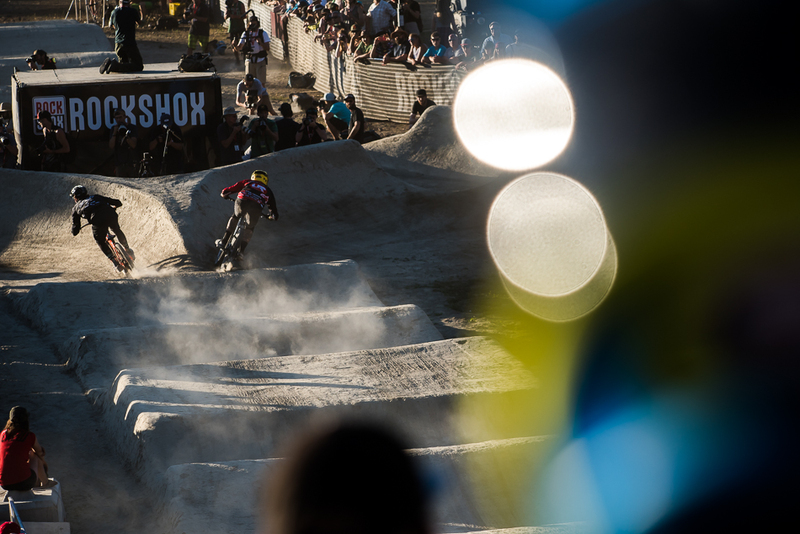 For Frenchman Loron, the strong second-place finish was enough for him to clinch the overall series championship for all three Crankworx events: Rotorua, Les Gets and Whistler. 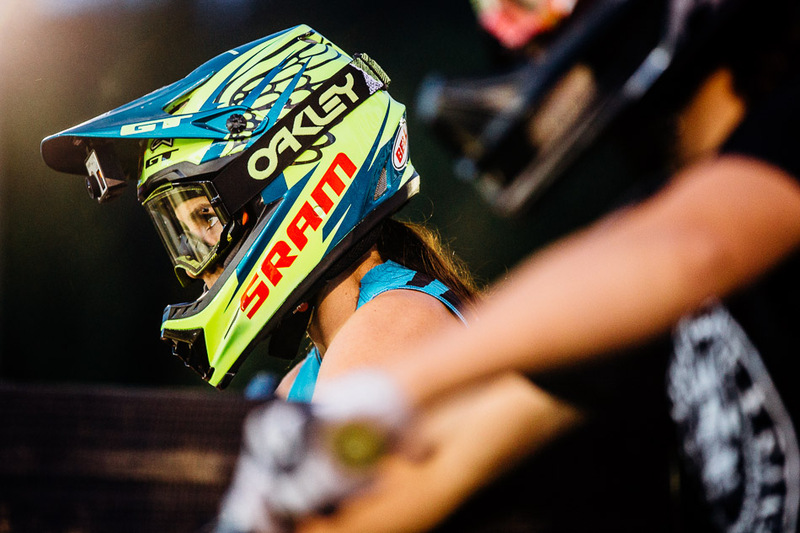 American Jill Kintner won the women’s contest, sewing up the overall Crankworx Pump Track Challenge series championship and advancing her lead in the standings for the overall Queen of Crankworx title. 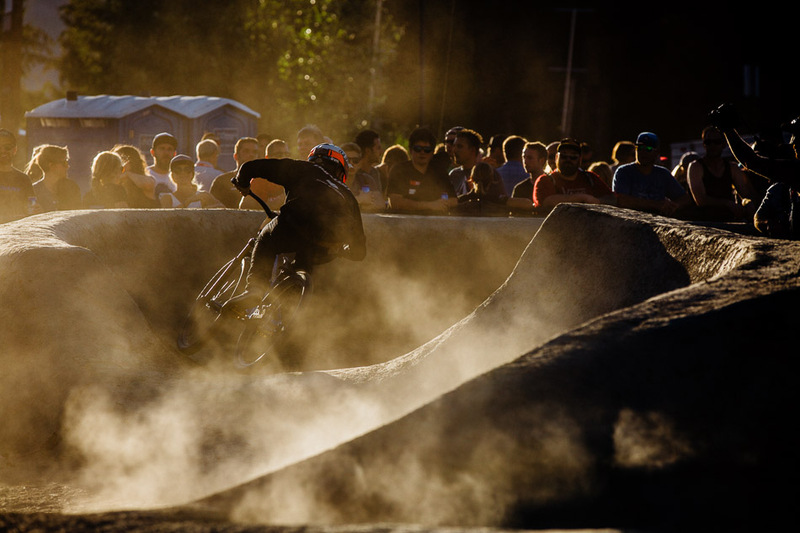 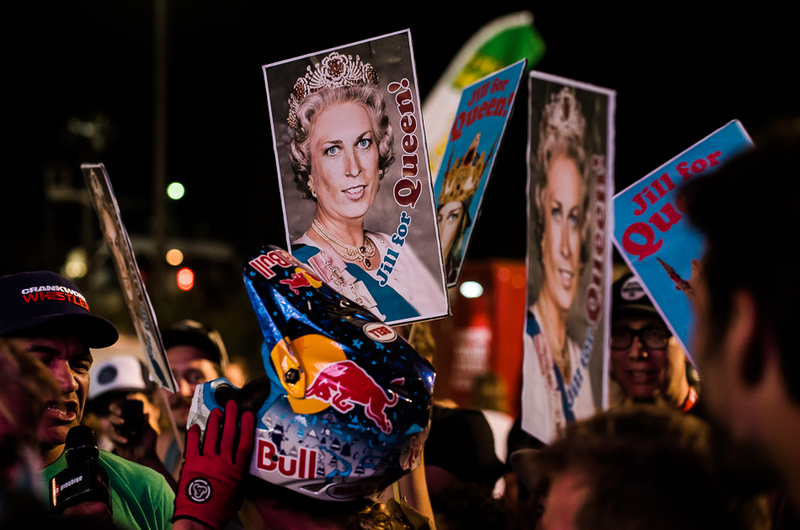 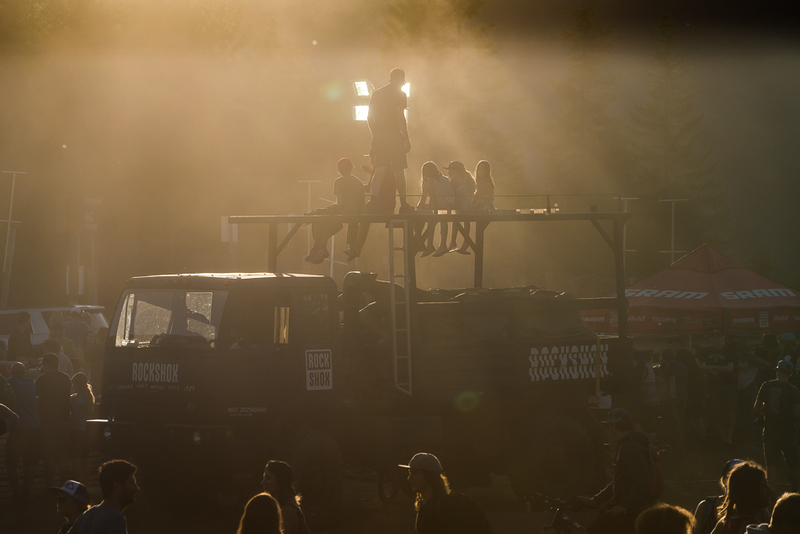 Last year’s Queen of Crankworx, the Netherlands’ Anneke Beerten, claimed second in the event, while Britain’s Manon Carpenter took third.